The Holiday’s are fast approaching and we are in the spirit! The salon has been decorated and it looks AMAZING… Schedule an appointment and come see it!!! 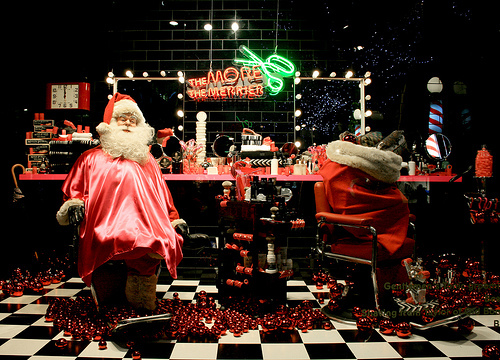 Get on the books for your holiday look… We are filling up fast so you want to schedule your appointment now! 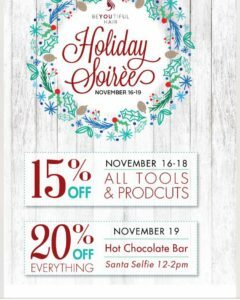 Come see us next week during our Holiday Sale from 11/16-11/19. 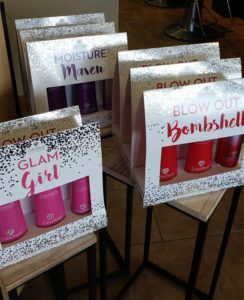 We will have hair tools (flat irons, hair dryer, etc.) and all our products will be 15% off. On the 19th Santa will be here so bring the kids and come take a selfie with Santa. Plus we will have a coco bar all week!!! 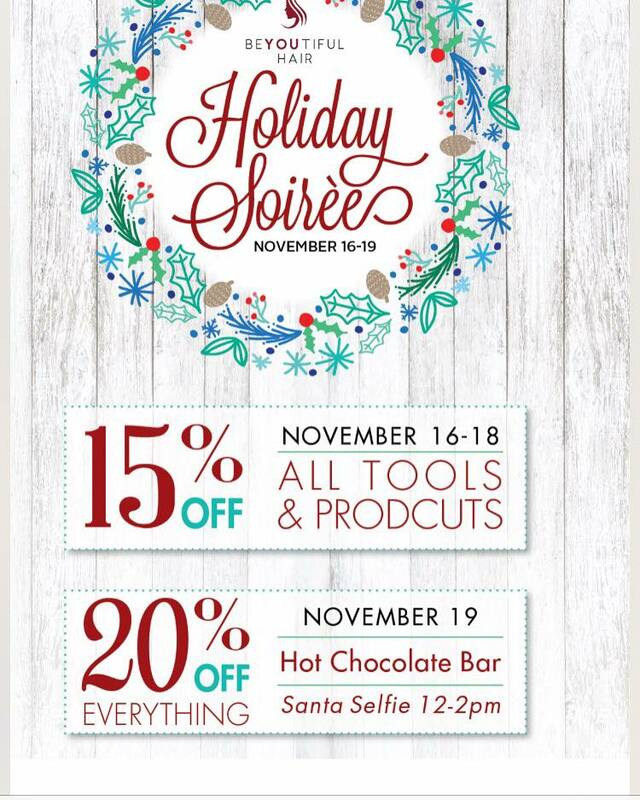 We will be offering 20% off on the 19th! or you can call the salon 913-381-9152. We still have our pre-holiday sale going on right now and you can get a free styling product when you buy a shampoo and conditioner. Come get one this weekend because they are selling fast!!! Liter Sale Has Extended through August!